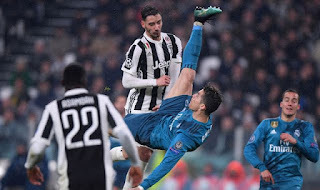 The Portuguese star said his bicycle kick for Real Madrid was "the best" after Liverpool's Mo Salah won the coveted prize. Cristiano Ronaldo has congratulated Mohamed Salah on winning FIFA's goal of the year award... by claiming one of his goals was better. 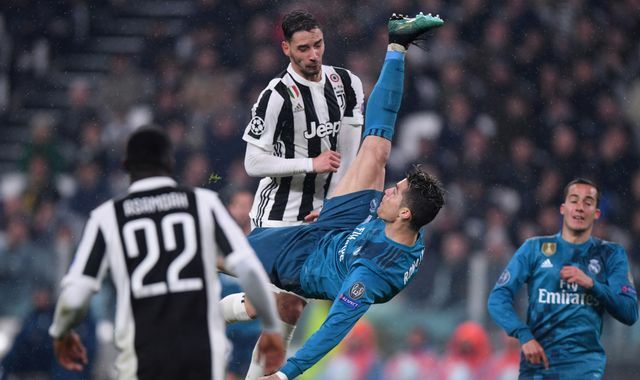 The Portuguese star told his 142 million Instagram followers that he believes the overhead bicycle kick he scored for Real Madrid against his current club Juventus last season was more memorable. He said: "Salah deserved to win the Puskas award, it was a good goal. But let's be honest, let's not lie to ourselves, my goal was the best." The 33-year-old lost out to former Real Madrid teammate Luka Modric for the FIFA best player award, while Salah's curling strike against Everton in the Premier League last December secured him the coveted award for best goal. Ronaldo added: "I'm not disappointed, life is like that, sometimes you win and others lose, what interests me is that in 15 years of career I managed to maintain the same levels of performance. The five-time Ballon d'Or winner congratulated Modric five days after the awards ceremony in London, which he did not attend. "Congratulations to everyone, to Modric, best player of the year according to FIFA," Ronaldo said. Ronaldo scored his goal in the Champions League quarter-finals against Juventus before joining the team months later. There has been no response to "Cristiano Ronaldo kicks off as FIFA goal of the year goes to Mo Salah"